Kaepernick believes some police officers got away with shooting unarmed black people. “There are bodies in the street and people getting paid leave and getting away with murder,” Kaepernick said at the advent of the anthem protest movement. Kaepernick knelt during the national anthem throughout the 2016 season, and was joined by a few other players. Kaepernick didn’t play the last two seasons, but some players continued what he started by protesting during the anthem in 2017-18. Kaepernick feels he’s being blackballed due to his anthem-kneeling, and in October, 2017, filed a grievance against the NFL accusing team owners of colluding against him. “He did it for the right reasons,” Popovich told ESPN. 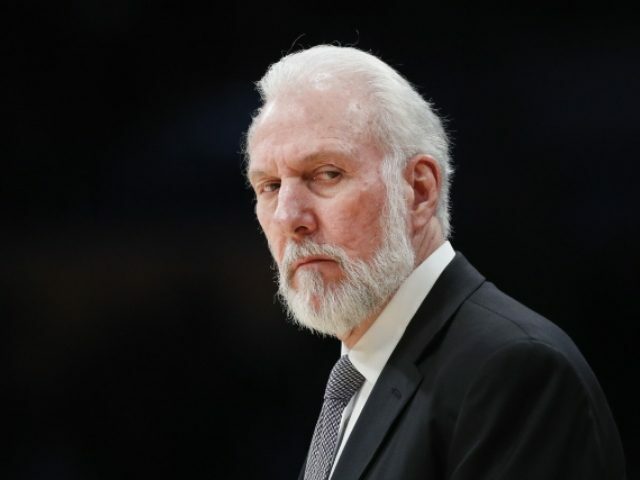 Popovich feels Kaepernick is similar to Olympian’s Tommy Smith and John Carlos who raised their fists at the 1968 Mexico City Games to protest racial injustice, and were suspended from the U.S. track team. He also feels Kaepernick is similar to boxing great Muhammad Ali who lost his titles after refusing to serve in Vietnam. “I think the same story will unwind as time goes on,” Popovich said. Kaepernick actually received the 2017 Sports Illustrated Muhammad Ali Legacy Award.